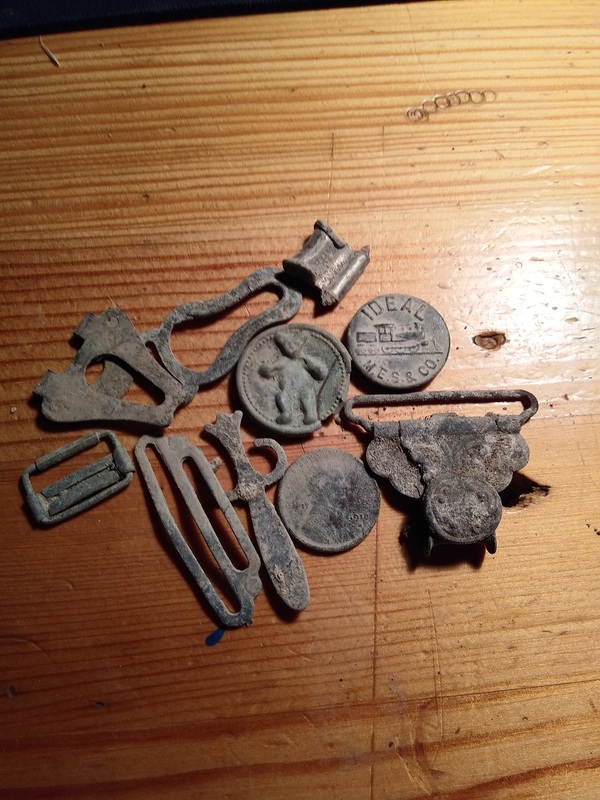 Hopefully, he will post soon and add a few pics of his nice finds. Yesterday Rob got a nice token, but he reported this time around he only got some ghost town doodads. 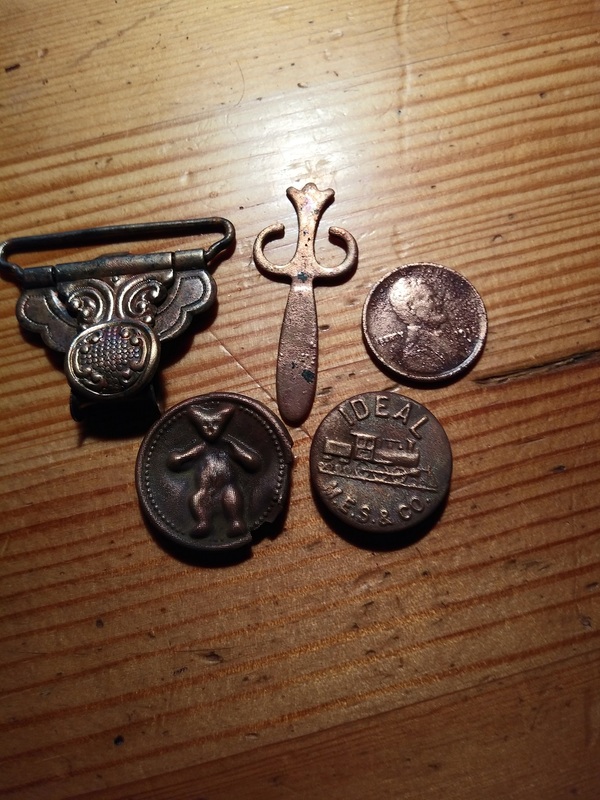 Before it was all done I managed some ghost town doodads and a 1910 Wheat Penny. Was a little cold out there and prob will be the last day for me this year But as always was fun to get out and detect and the dogs had fun as well. Looking forward to Next year and hopefully a lot of detecting adventures. Pic # 2 Gave them a bath.